up to 10Hz update rate. The GPS Expansion uses a u-blox GPS receiver which features a high performance u-blox 6 positioning engine. 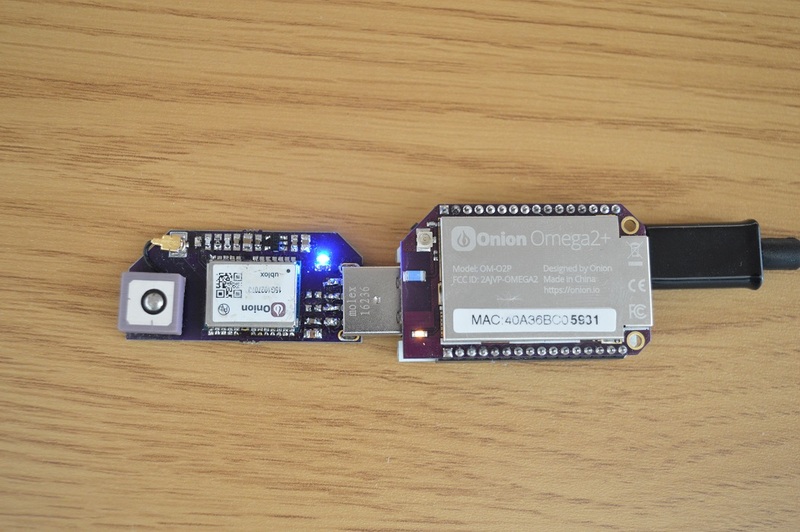 This chip sends the GPS data to the Omega via the USB connection. Simply plug in your GPS expansion into a Dock to get started. You can even change the antenna by disconnecting the included antenna and connecting your own to the onboard u.FL connector. The GPS Expansion plugs into a Dock with a USB port. You can also connect a USB hub to a Dock’s USB port and connect the GPS Expansion into the hub. This is one of the few Expansions that doesn’t require Expansion headers, so you can even use it with the Mini Dock if you’d like! 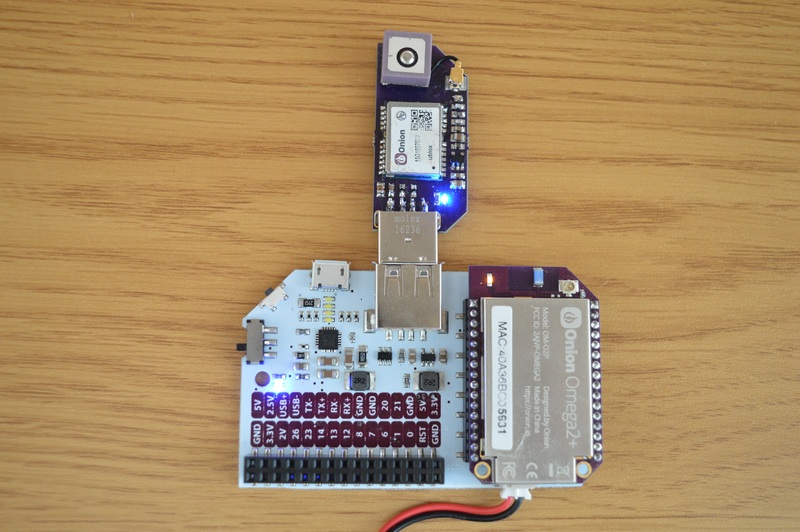 The ublox chip used on the GPS expansion is the ublox NEO-6M. 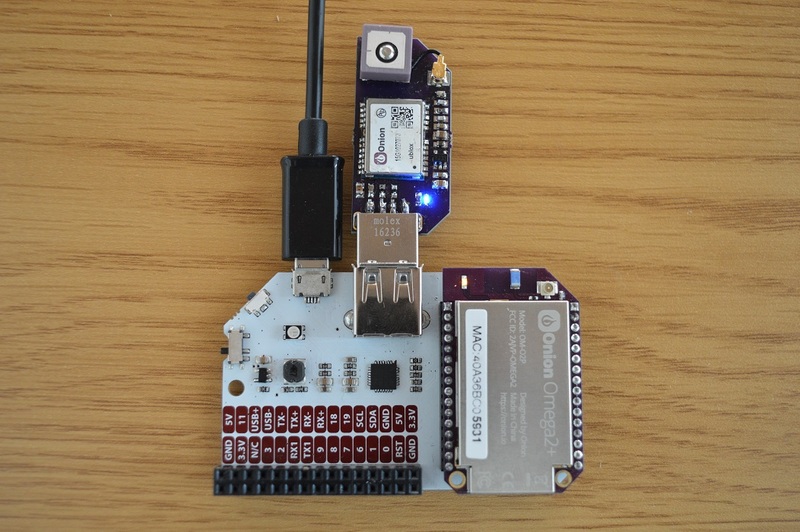 This chip translates the information received from the antenna into NMEA messages that the Omega can understand. NMEA is the National Marine Electronics Association protocol. If you’re interested in marine electronics you can read the Wikipedia article on the latest NMEA protocol. For more on the ublox chip, see the ublox chip datasheet. The USB connector serves two purposes. By plugging the Expansion into a Dock’s USB port we power the GPS Expansion, and we provide a means of communication between the Omega and the Expansion. You can use the GPS Expansion to create some cool geo-data projects with your Omega! For example, you can try your hand at creating a navigation system using the GPS Expansion with the OLED Expansion. Or for a simpler project, you can create a treasure hunt game that alerts the user when they’re in the vicinity of an item for a children’s party.